VFSUMA-2 A Burst of Sunshine, Have a reason to celebrate? 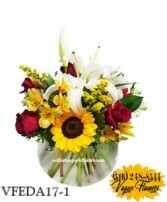 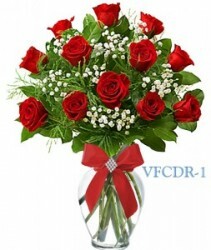 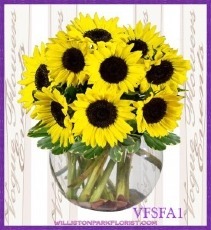 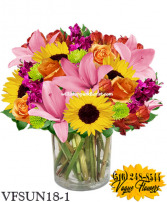 Look no further then this wonderful uplifting arrangement that will be sure to convey all of your wishes and blessing. 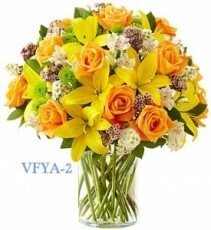 Call us today (516) 248-8544 or order online 24/7 Vogue Flowers in Williston Park, NY and we'll be glad to assist you. Note this item can be customized and upgraded to $199.95. 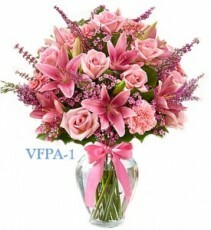 A very Modern and Upscale arrangement that is sure to be the center of attraction. 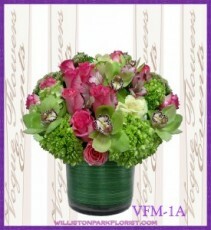 A wide array of pink and green flowers are presented in a clear glass cylinder vase that's lined with green ti leaves. Call us today, (516) 248-8544 or order online 24/7 Vogue Flowers in Williston Park, NY and we'll be glad to assist you. 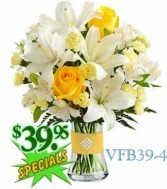 Note this item can be customized and upgraded to $249.95. Graduating from high school is one of the proudest moments in a teens life, and one they should be proud of. 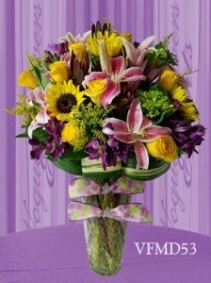 Show them your support by sending a graduation bouquet in their honor. 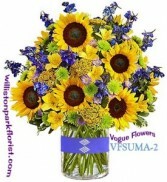 Let VOGUE FLOWERS in Williston Park, NY help you choose a arrangement to match any grad's style -- from elegance and sophistication, to fun and playful, we can do it all!